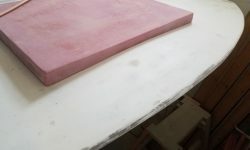 I chose to focus this day on some of the myriad and sundry and indistinct items on the work list, smaller jobs all required in the long run, but that tended to get swept aside during the push through some of the larger, distinct projects. 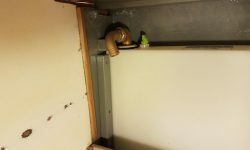 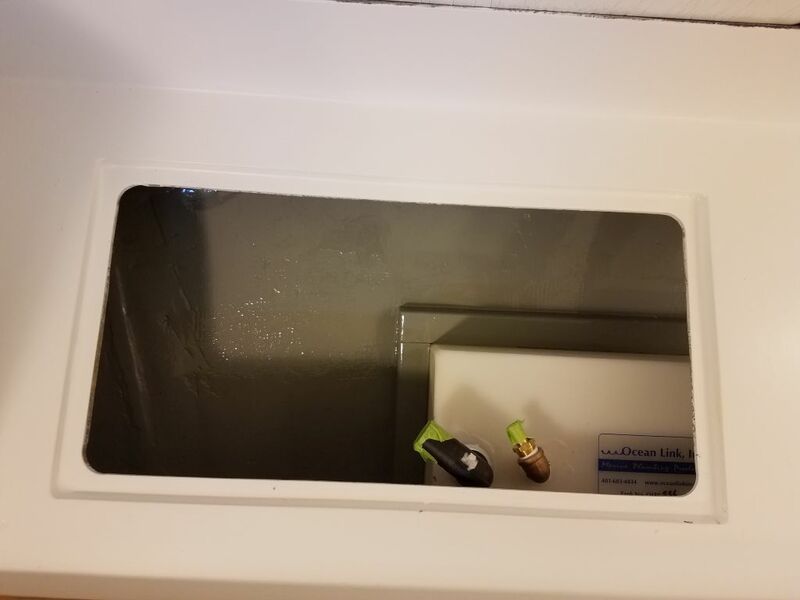 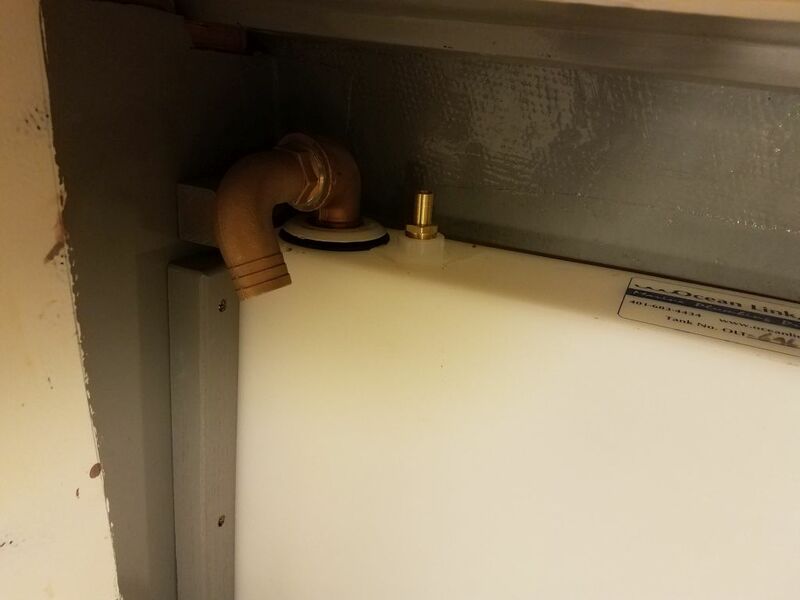 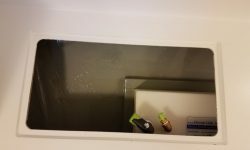 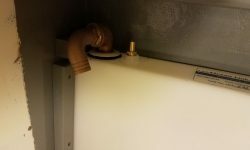 In the head, I began by installing the two top cleats to secure the holding tank, and then a pair of vertical cleats just inboard of the tank that would support the cover panel for the space later. 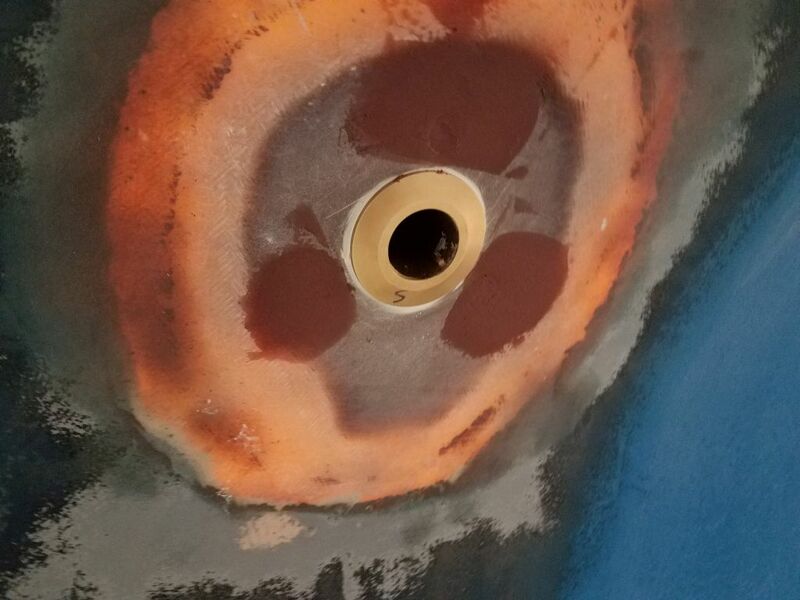 To provide future access for instrumentation in the cockpit, I enlarged the existing openings through the aft bulkhead in the head, in the space I’d left unpaneled for this purpose. 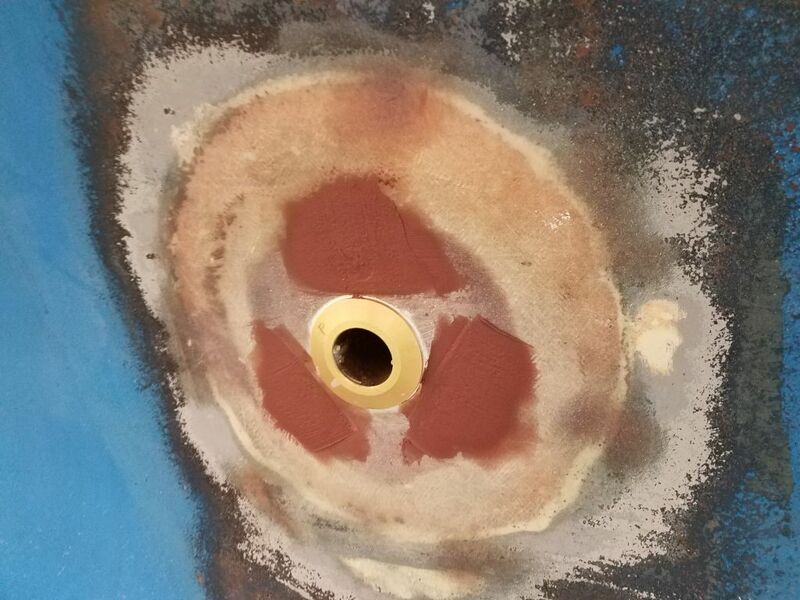 The larger hole would give better access to the actual back side of the cockpit bulkhead for possible instrumentation installations later. 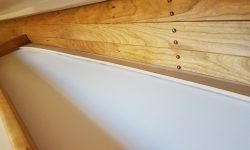 Afterwards, I cut and installed hardwood cleats around the space to support the cover panel that I’d build later. 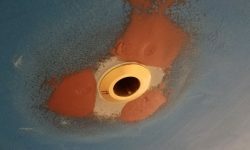 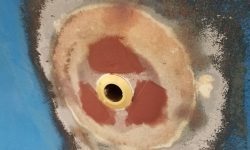 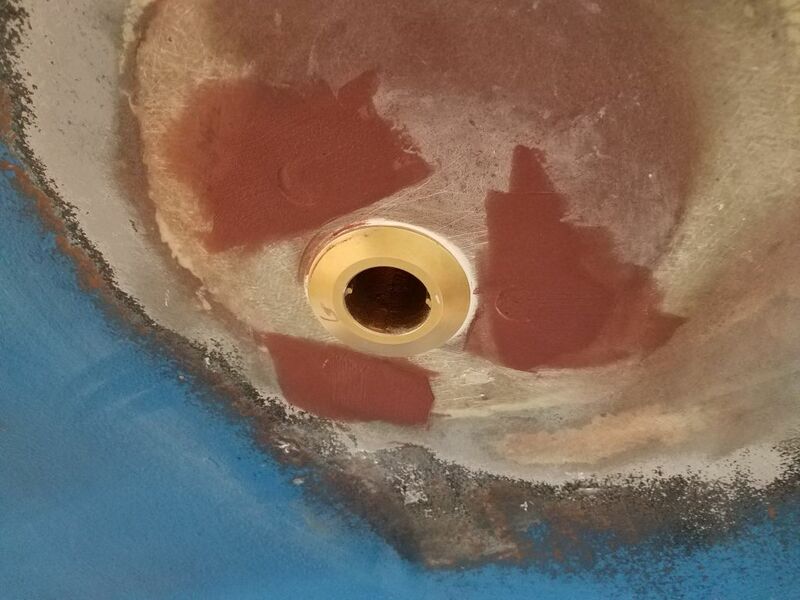 The heads of the bolts securing the through hull valves were recessed slightly in the hull, and now I mixed up some epoxy fairing compound and filled these holes so I could sand them flush later. 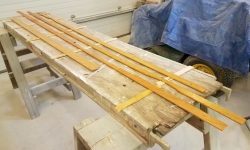 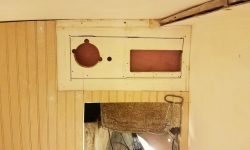 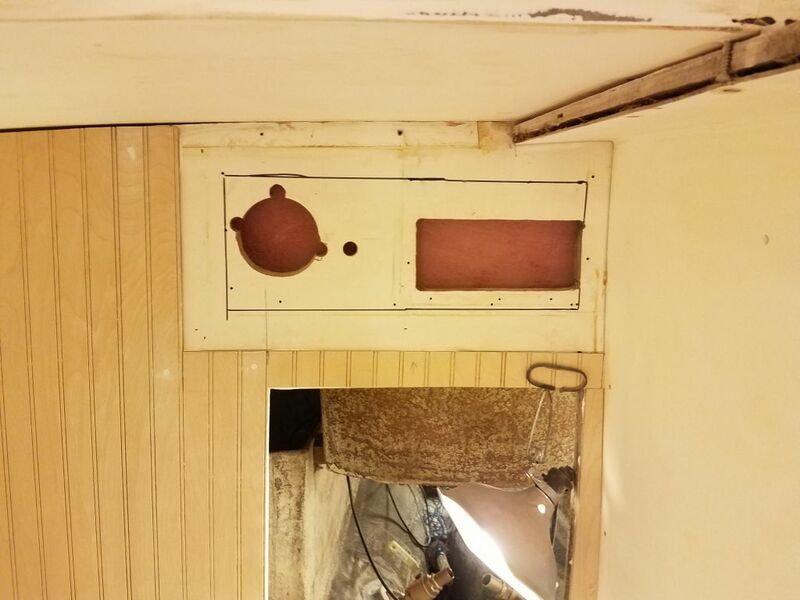 I scribed the new lazarette hatch to the curvature of the aft deck, then shaped the hatch to the lines before sanding the whole thing smooth to get it ready for primer and paint. 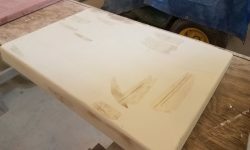 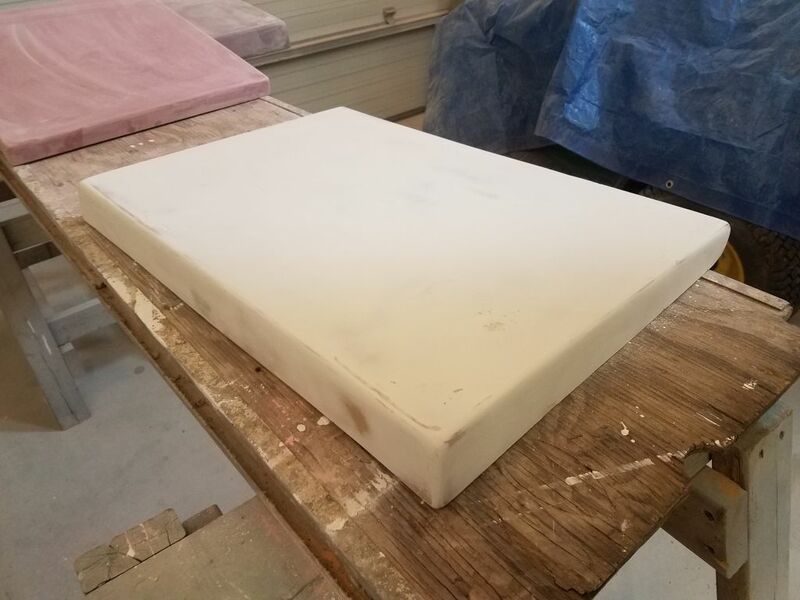 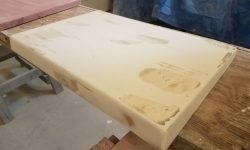 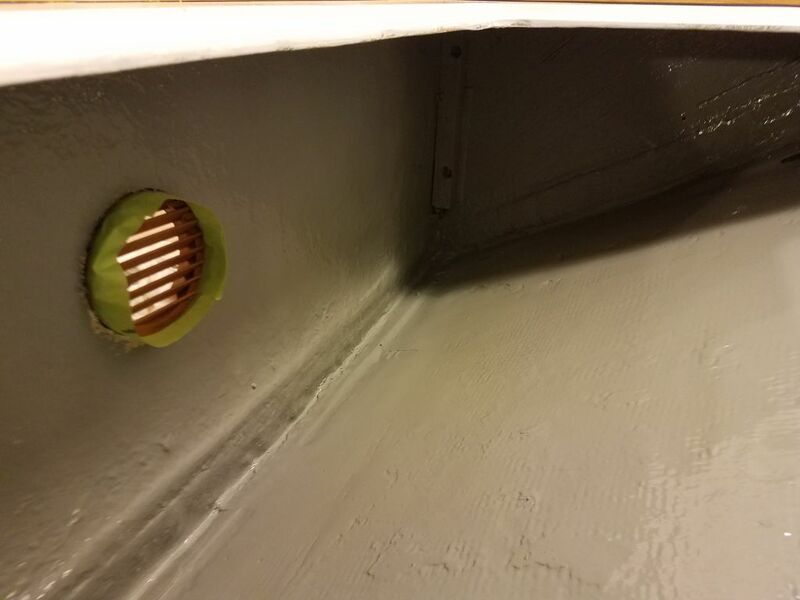 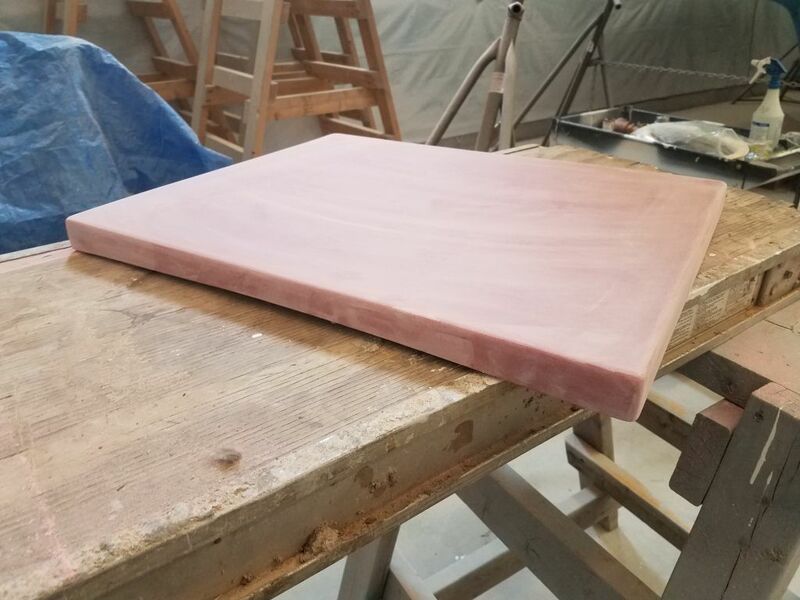 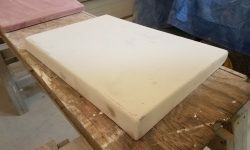 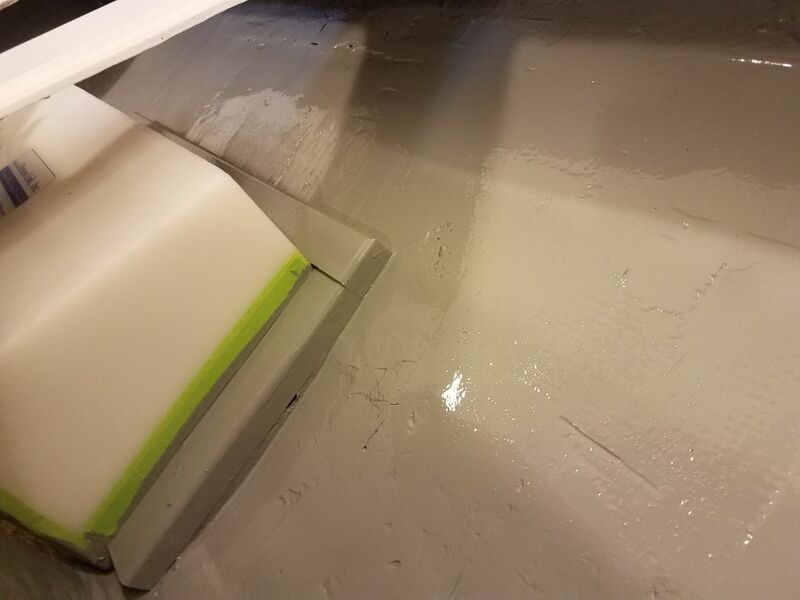 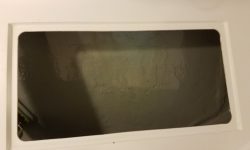 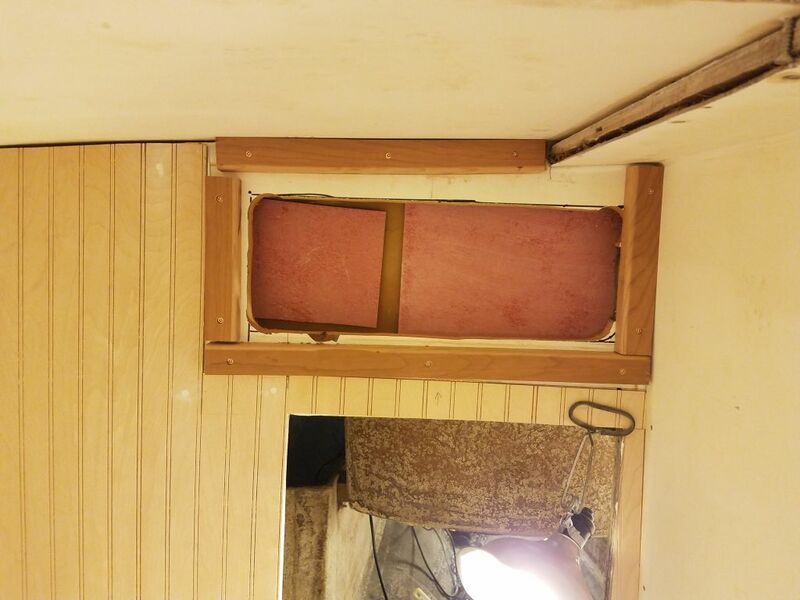 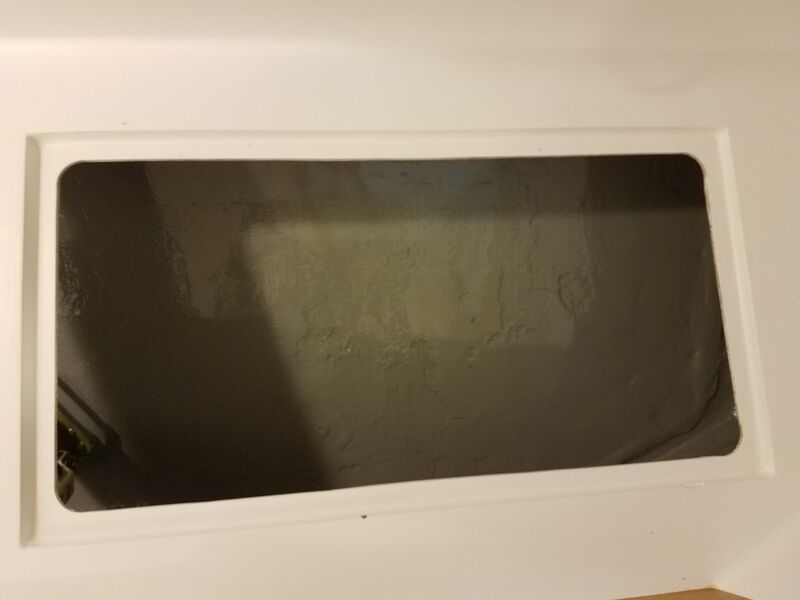 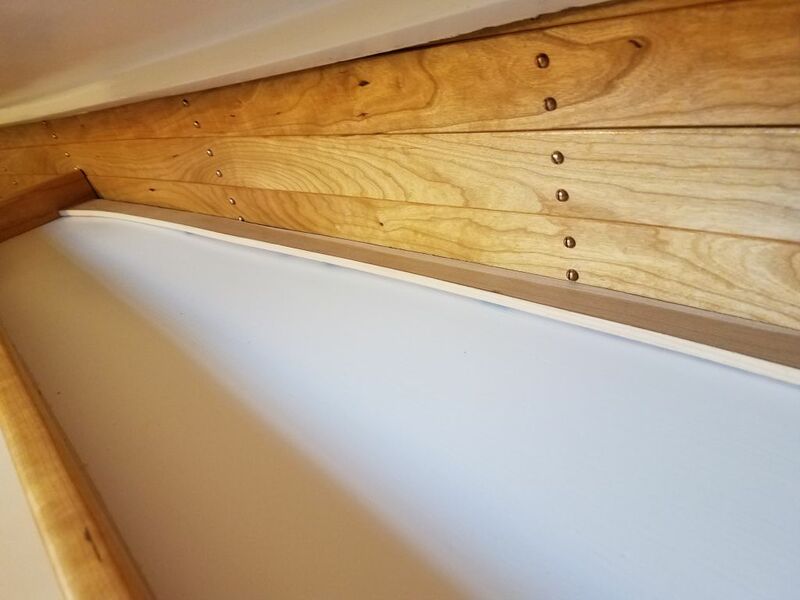 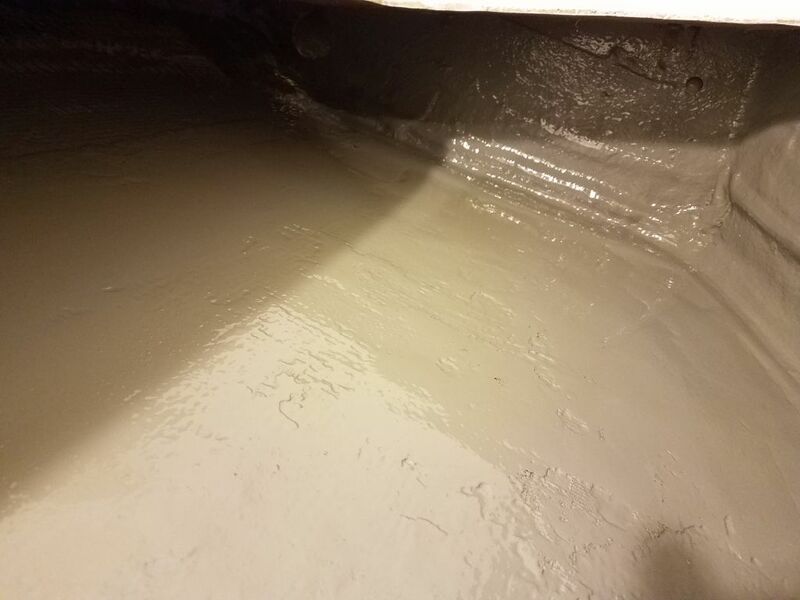 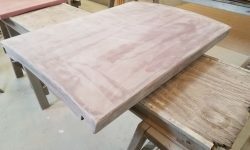 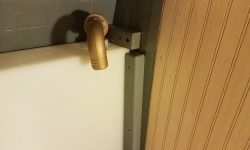 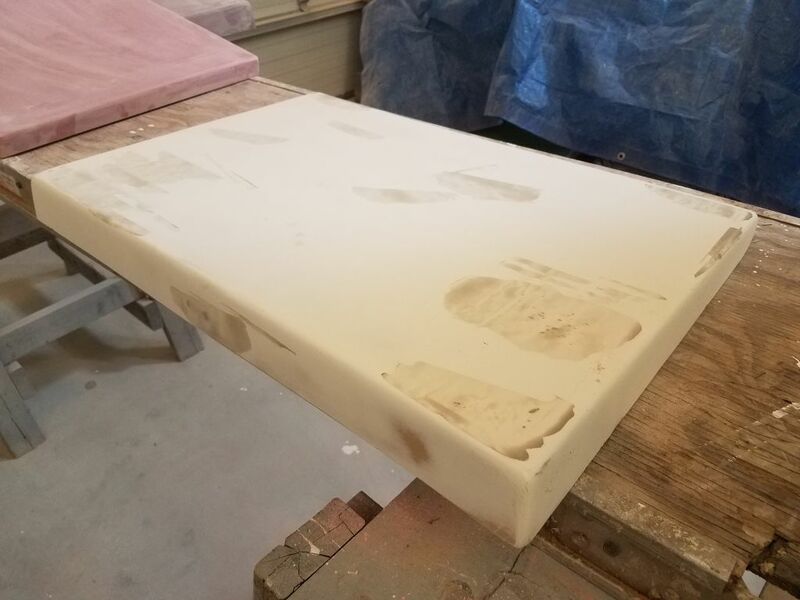 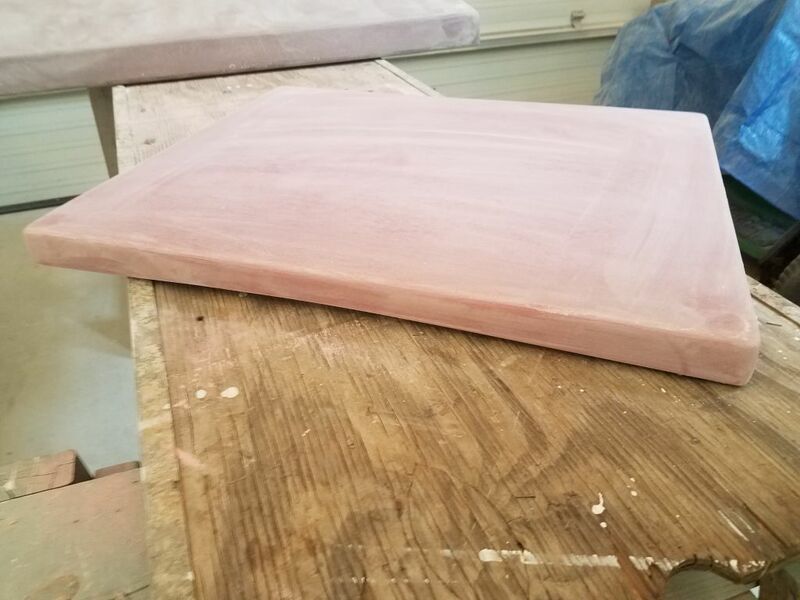 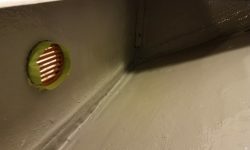 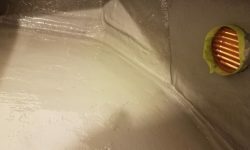 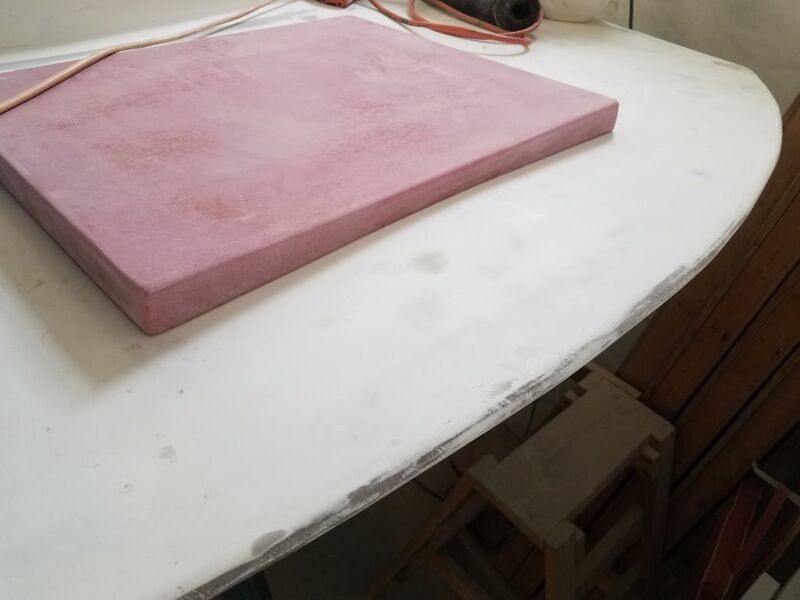 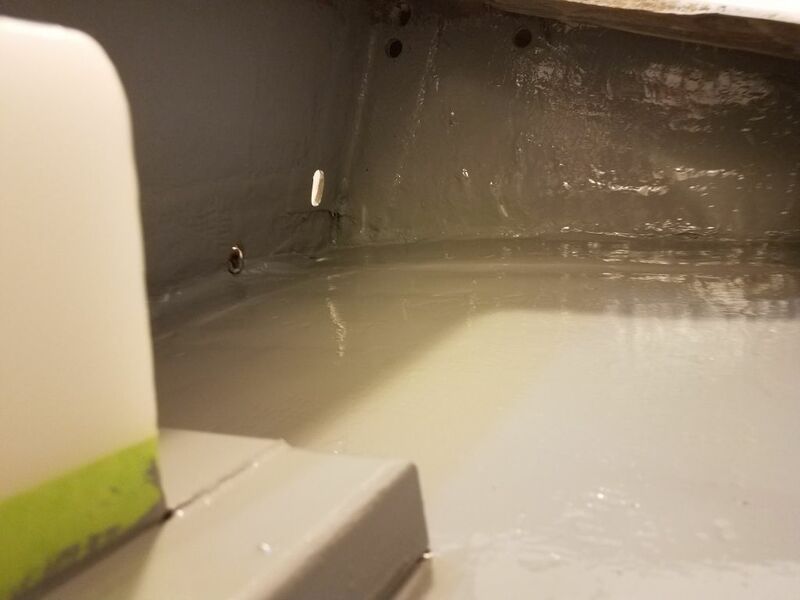 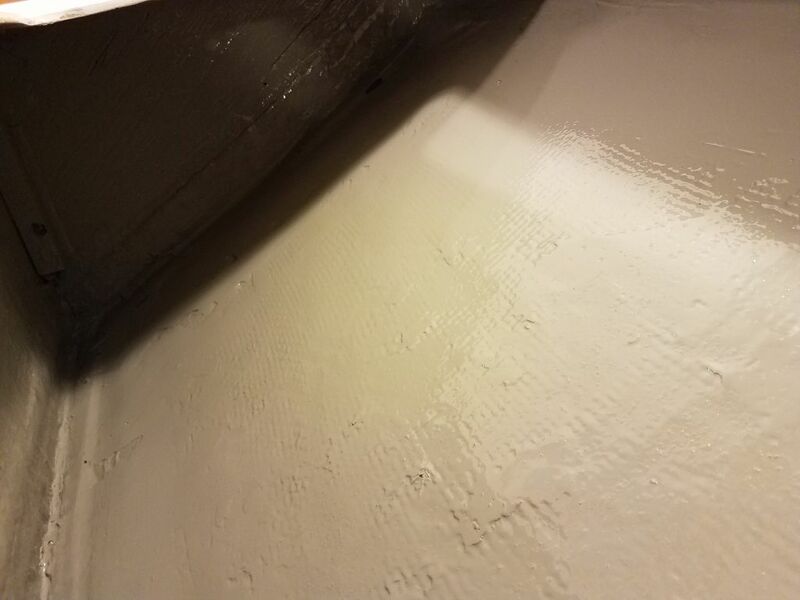 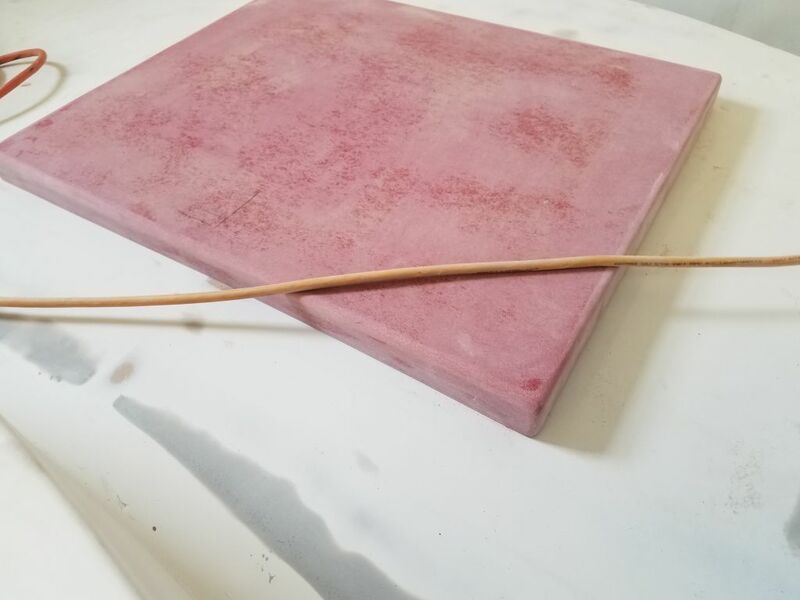 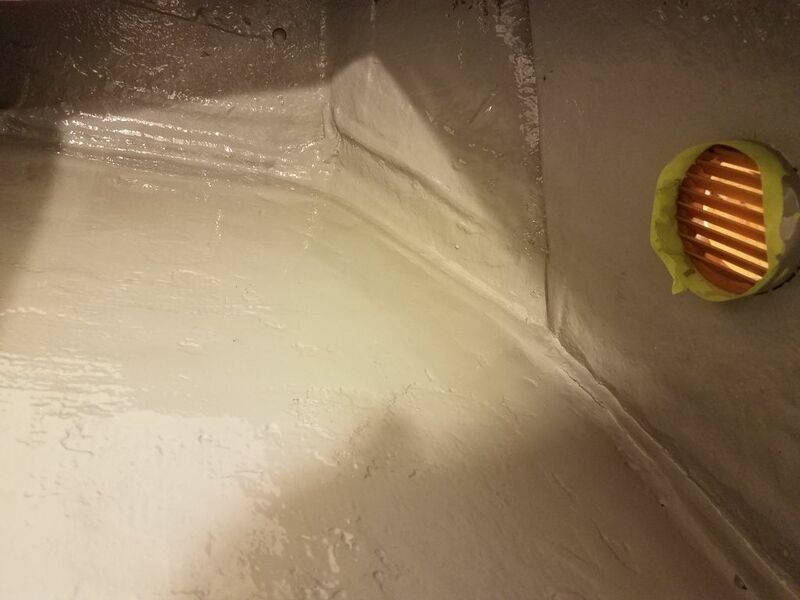 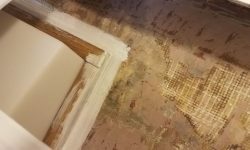 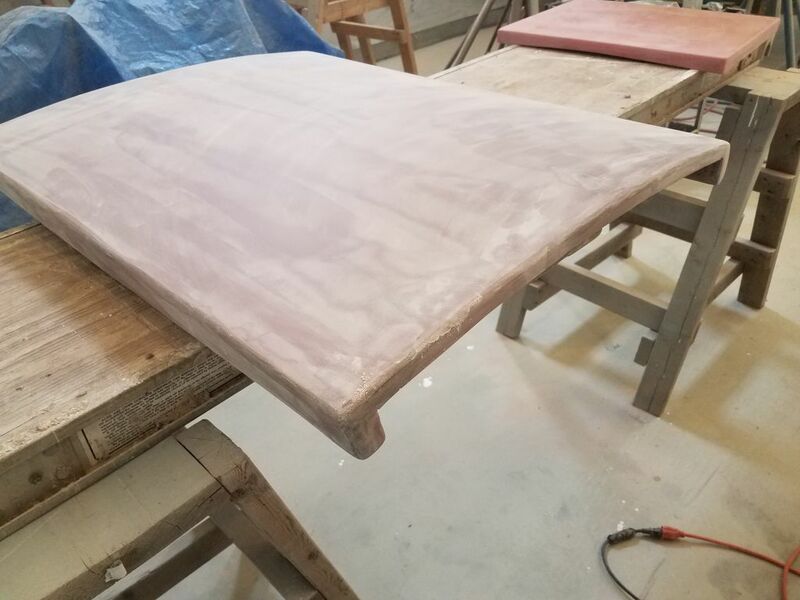 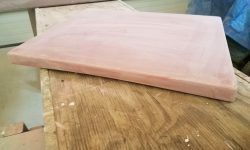 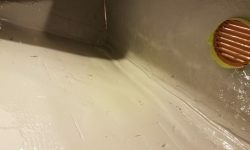 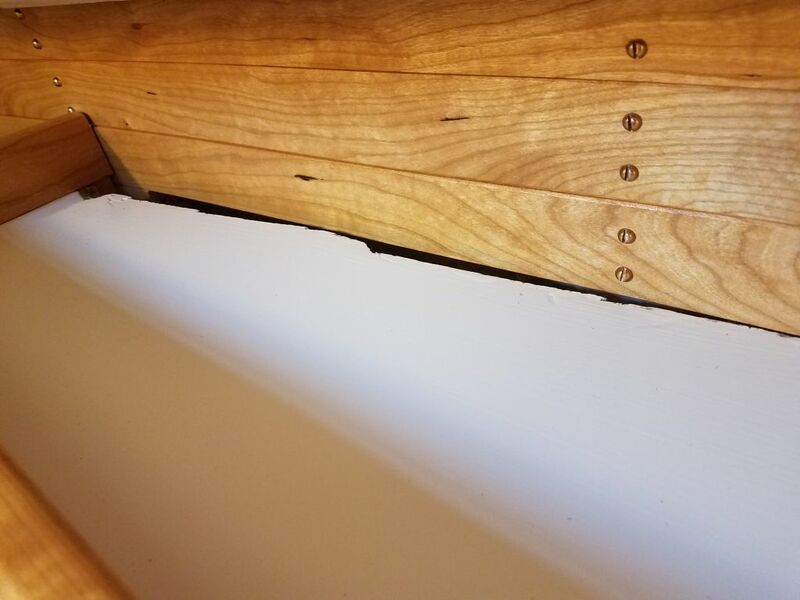 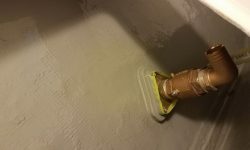 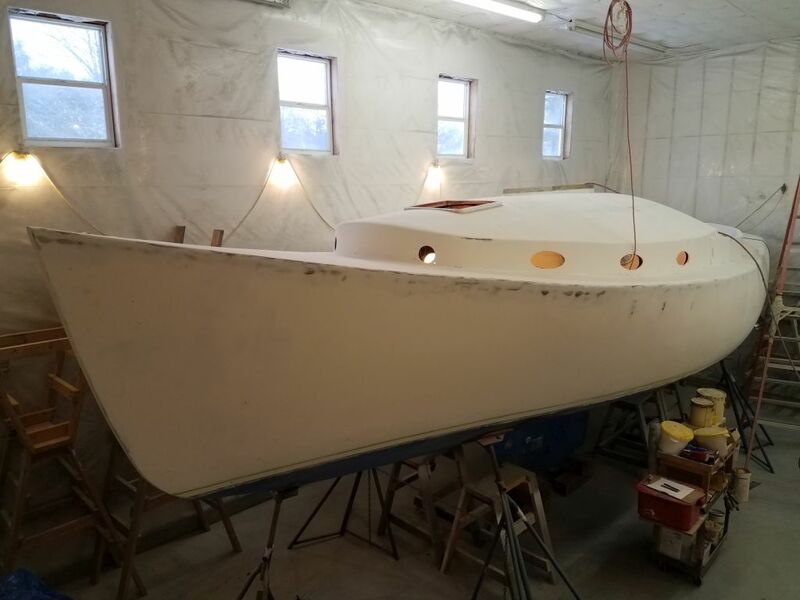 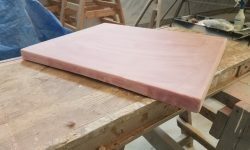 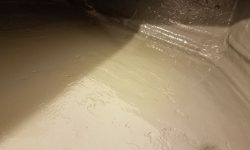 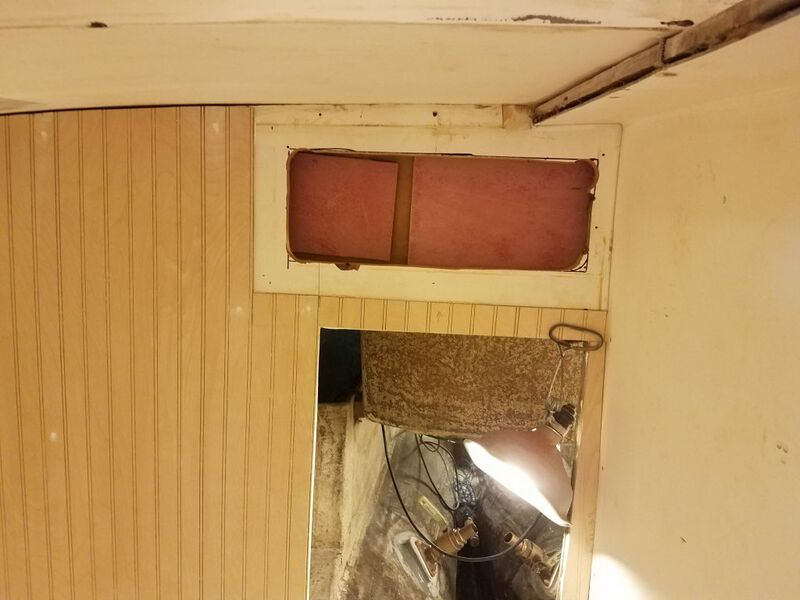 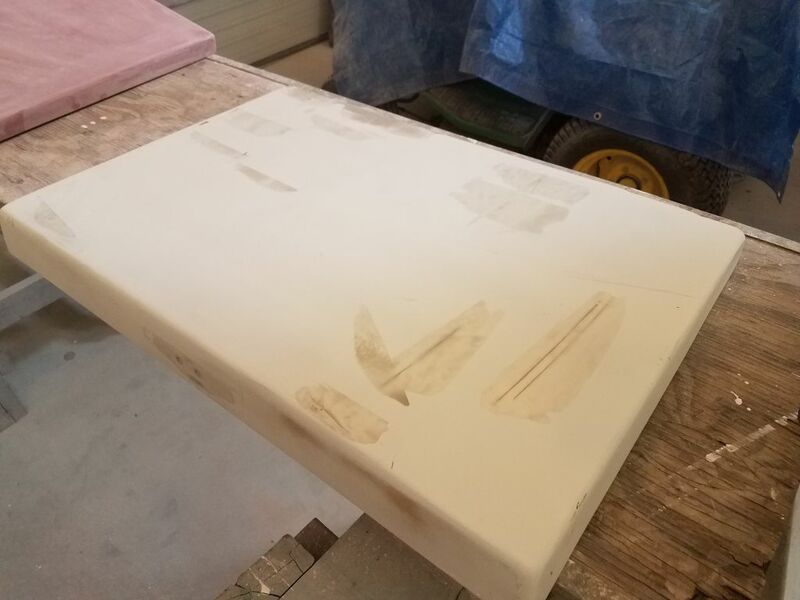 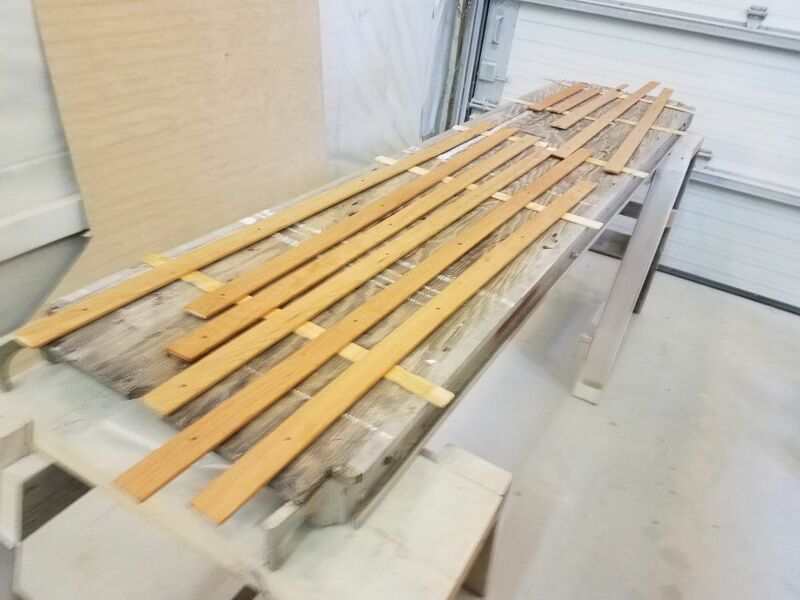 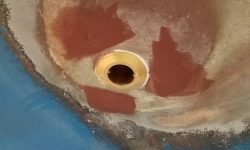 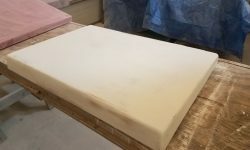 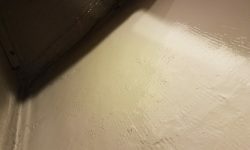 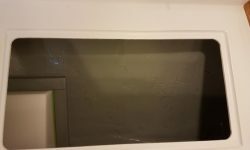 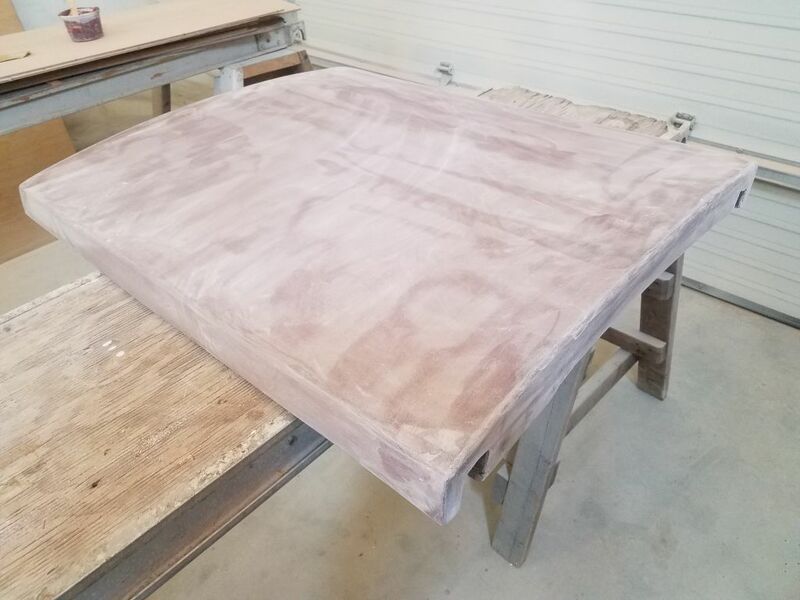 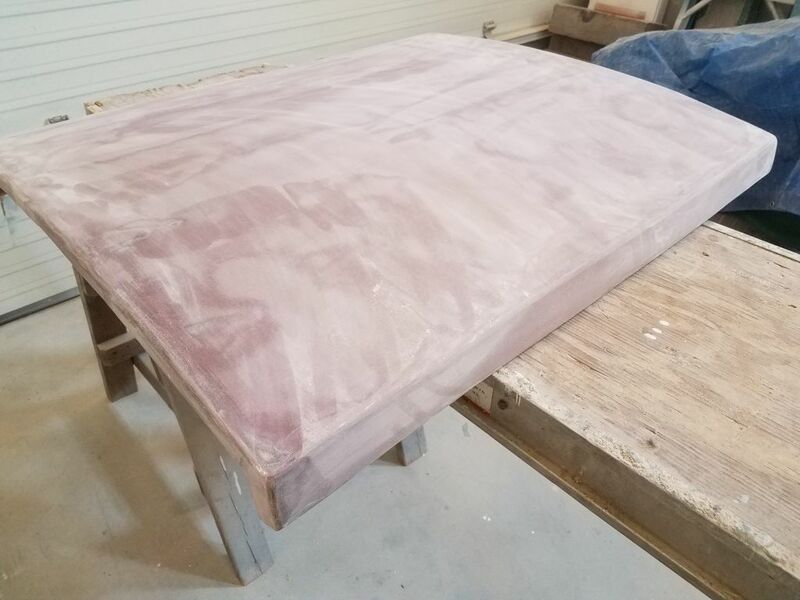 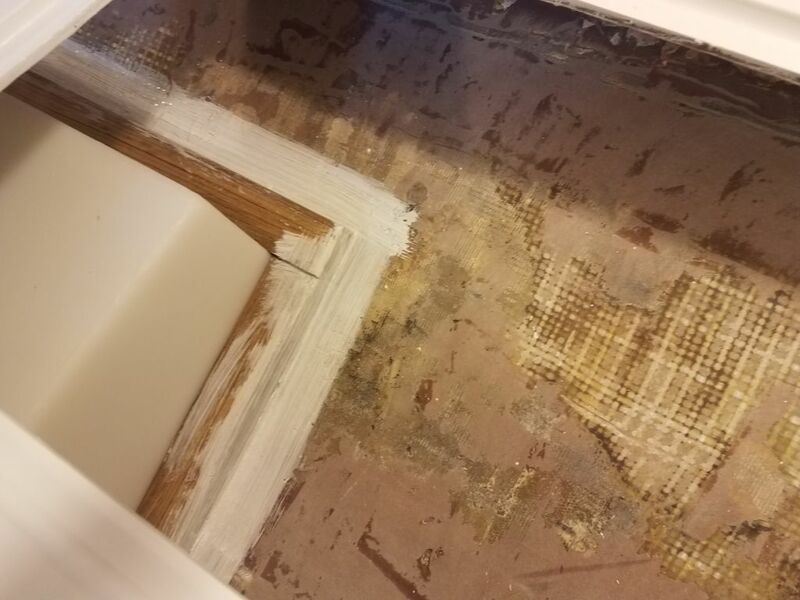 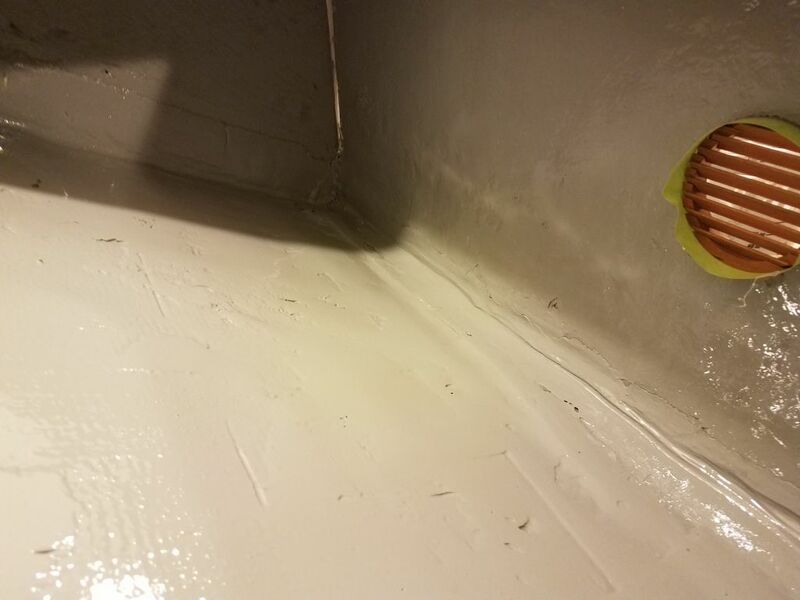 Some days before, I’d applied a final coat of fairing compound to portions of the companionway sliding hatch, and now I sanded the filler smooth, and sanded the whole hatch smooth and clean to prepare it for primer and paint. 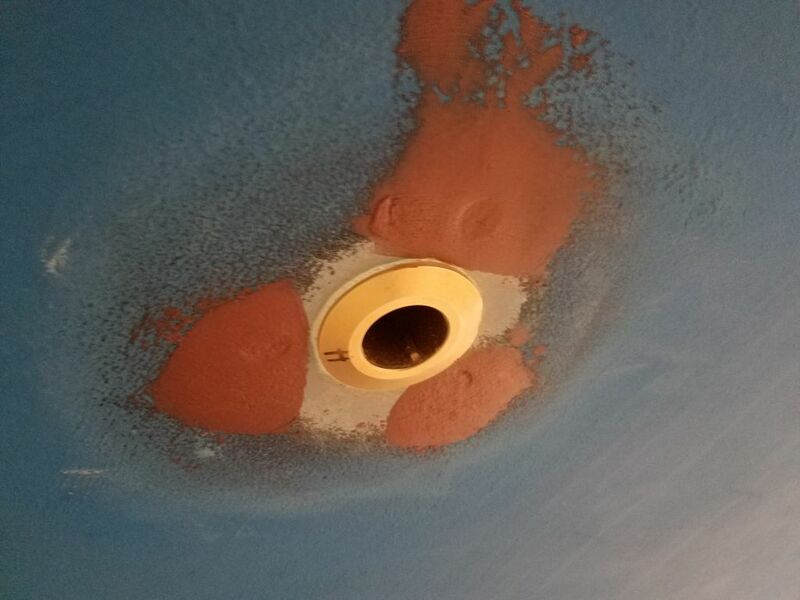 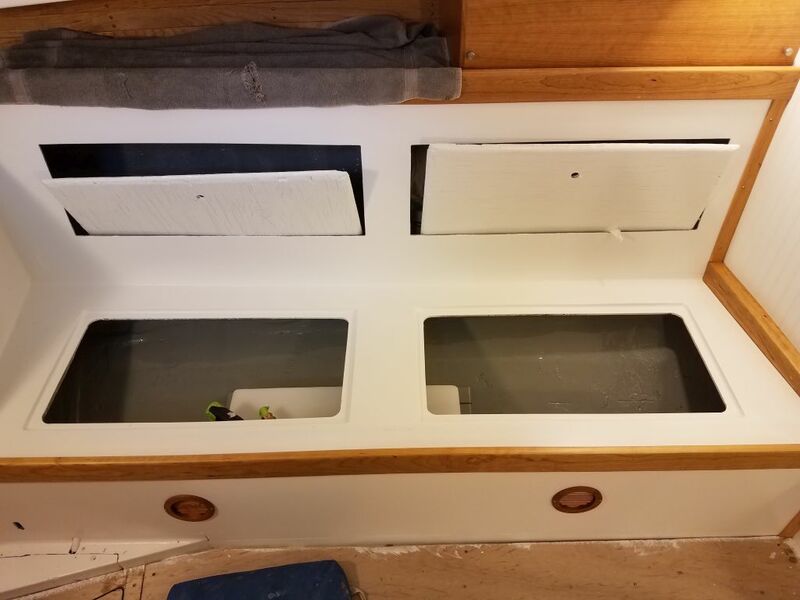 Sticking with the hatch theme, I uncovered the two cockpit locker hatches, to which I’d long ago applied some fine filler to the minor pinholes and such after high-build primer, and sanded these smooth as needed. 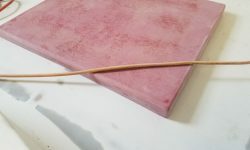 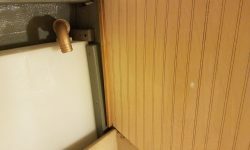 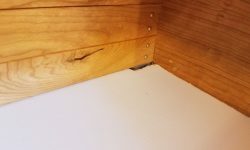 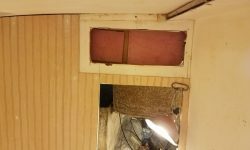 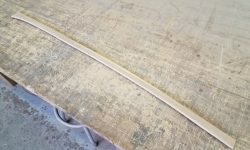 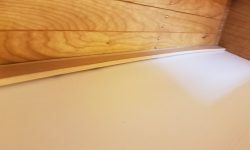 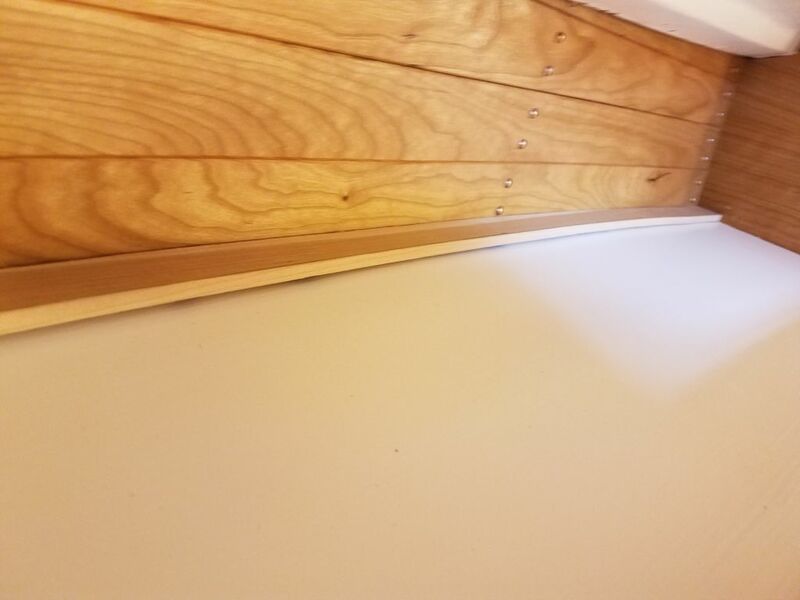 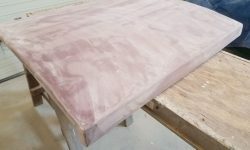 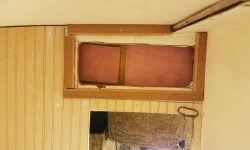 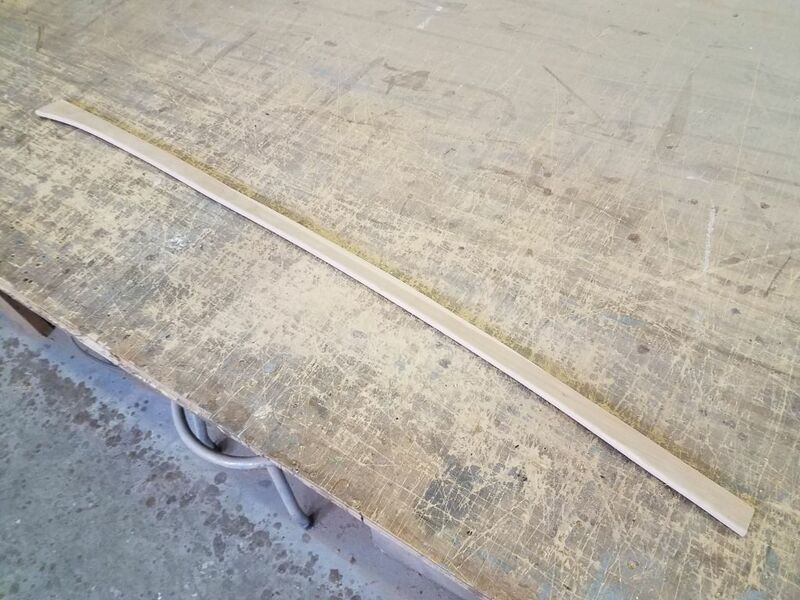 Next, I prepared a piece of trim to cover the ragged, exposed edge of the shelf above the port settee in the main cabin. 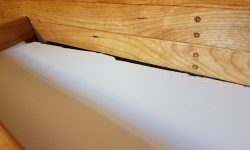 I’d decided it would be best to paint this trim, the better to fit in with the painted shelf rather than highlight the trim with varnish, so I was able to use a piece of otherwise-undesirable cherry stock (i.e. 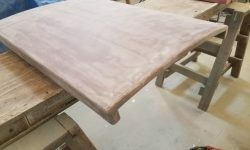 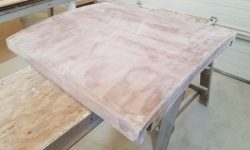 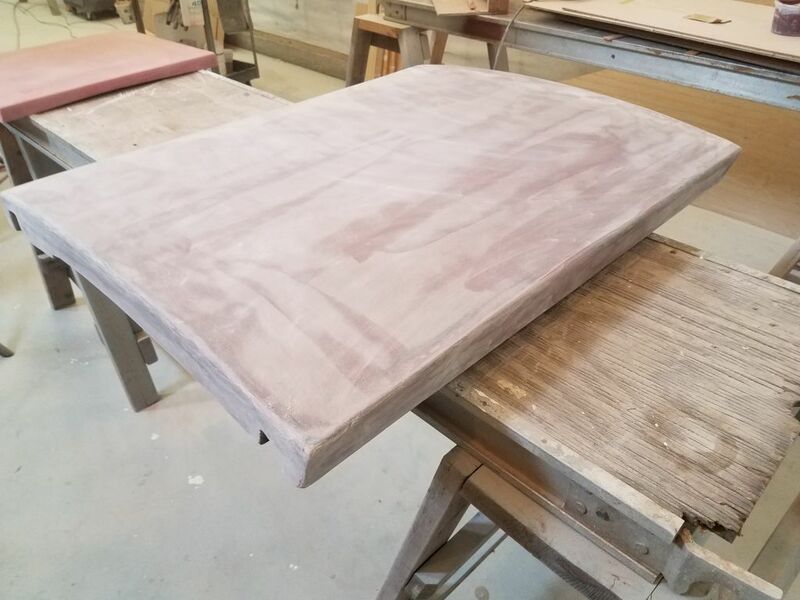 the light-colored sapwood from a wider piece) to mill the trim, which I cut to fit using a plywood template I’d made earlier. 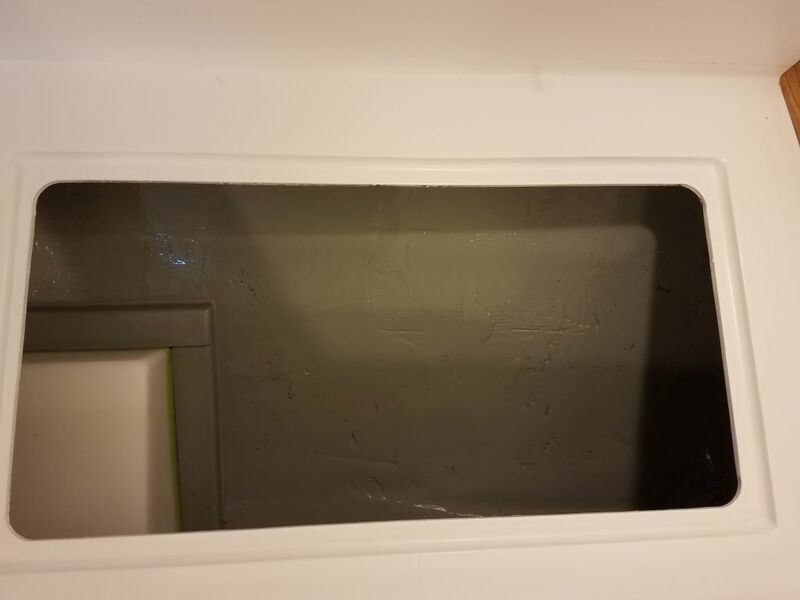 After cutting and sanding the trim to fit, I set it aside to await primer and paint. 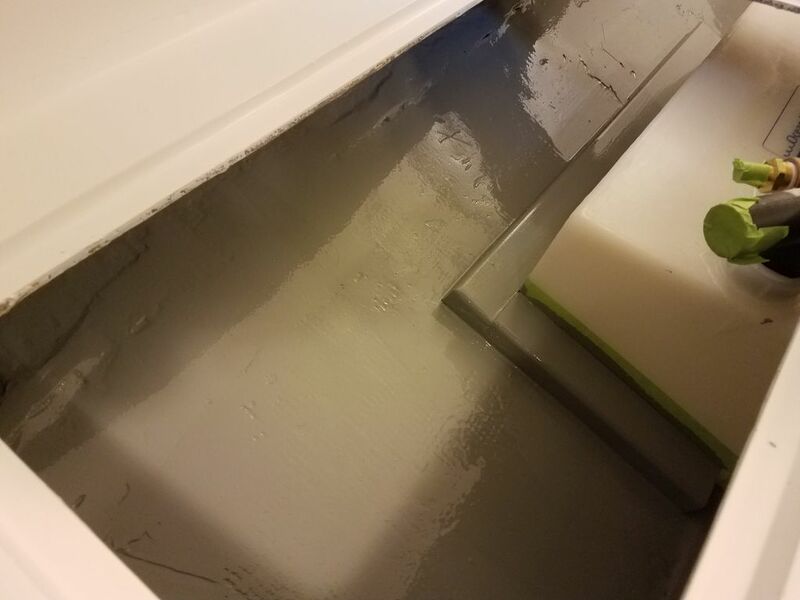 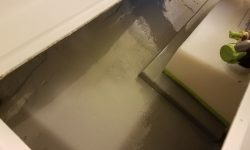 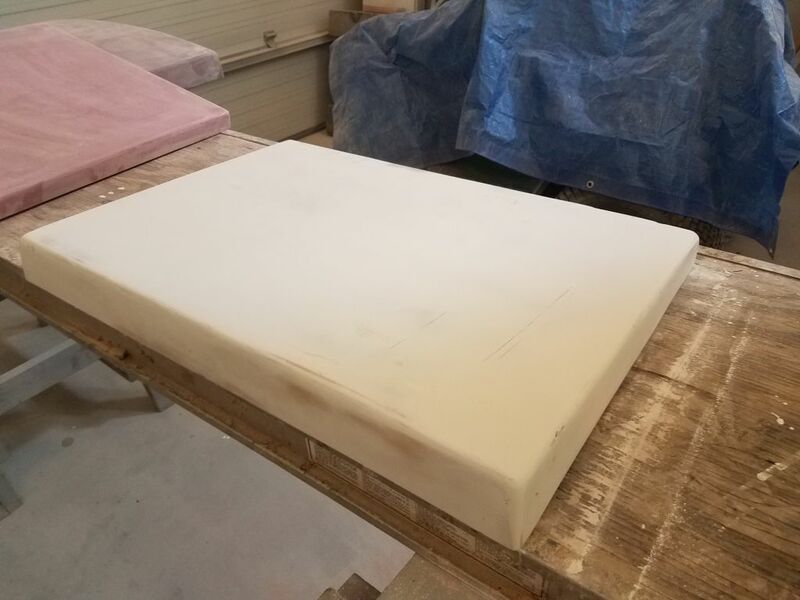 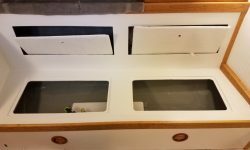 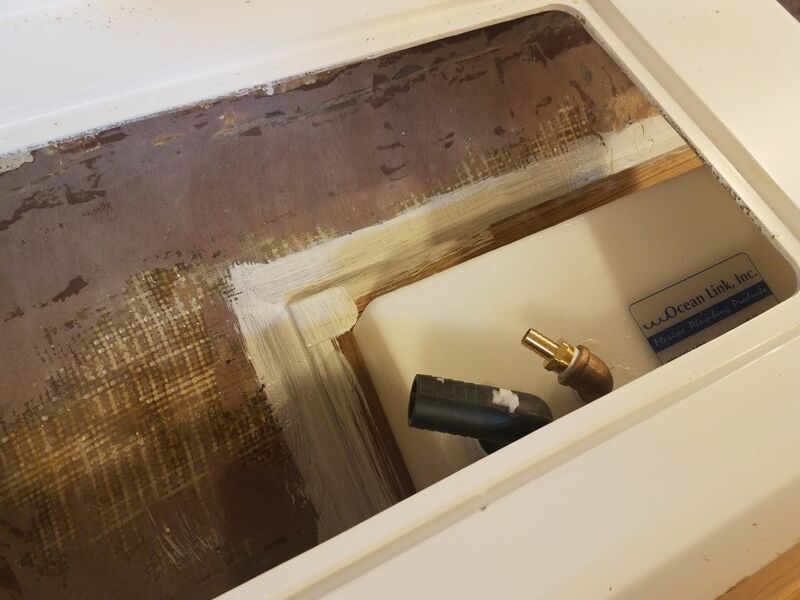 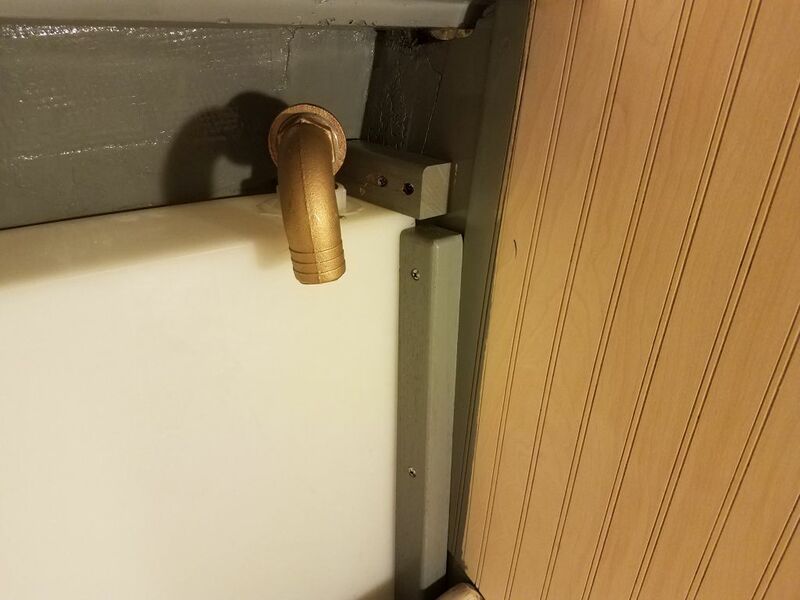 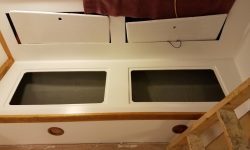 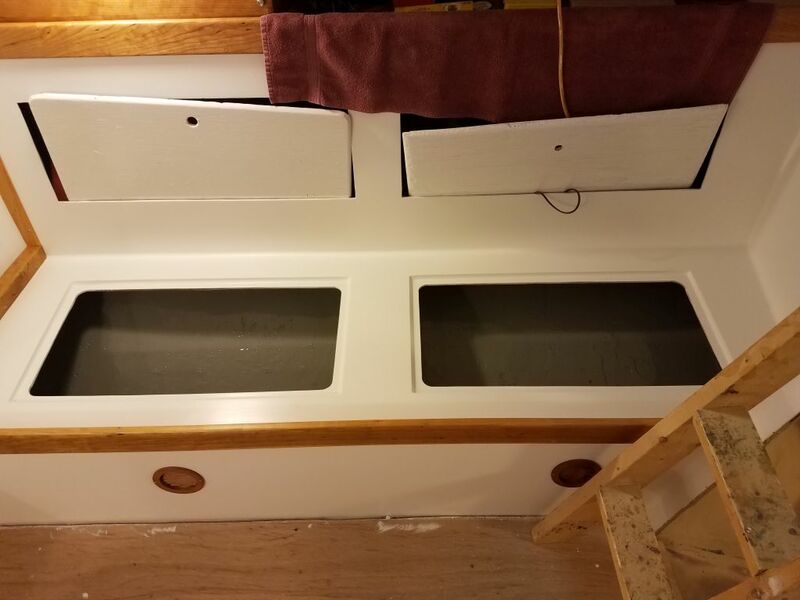 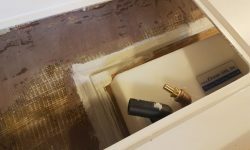 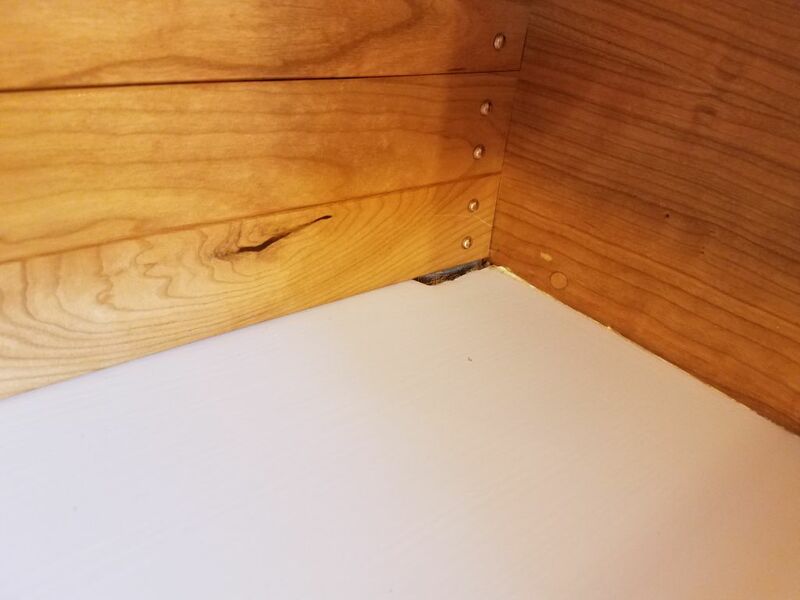 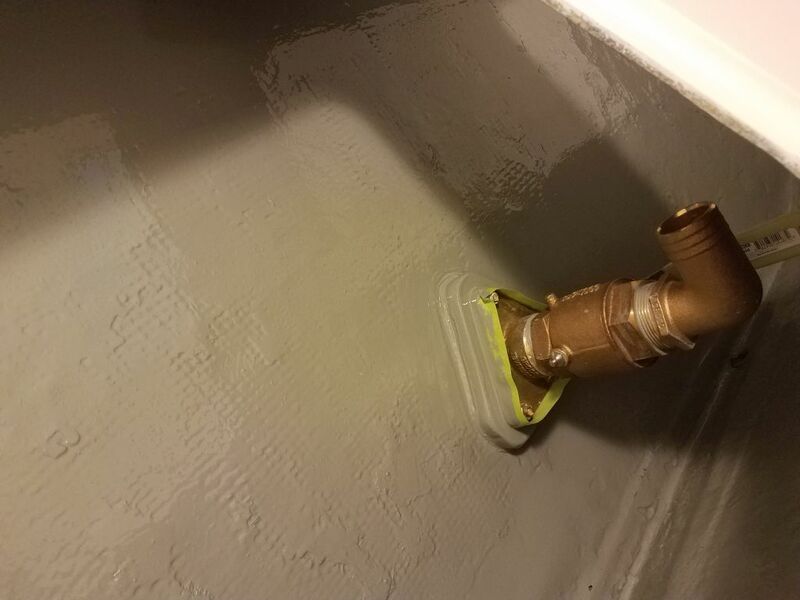 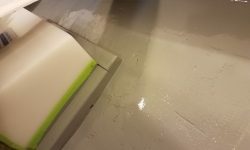 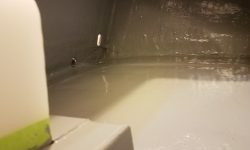 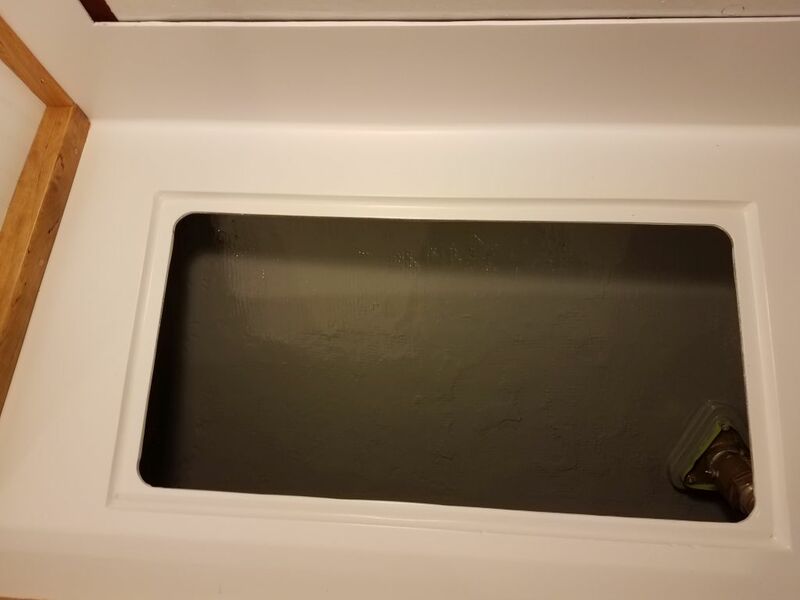 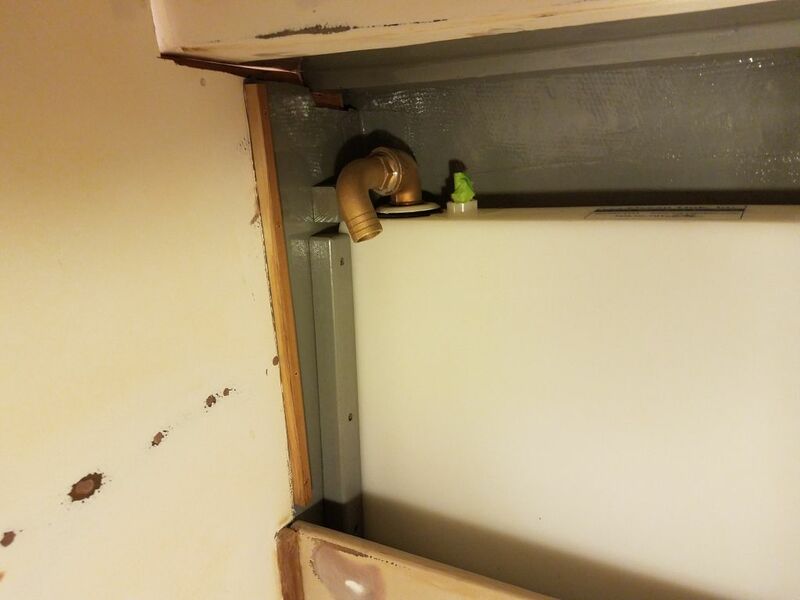 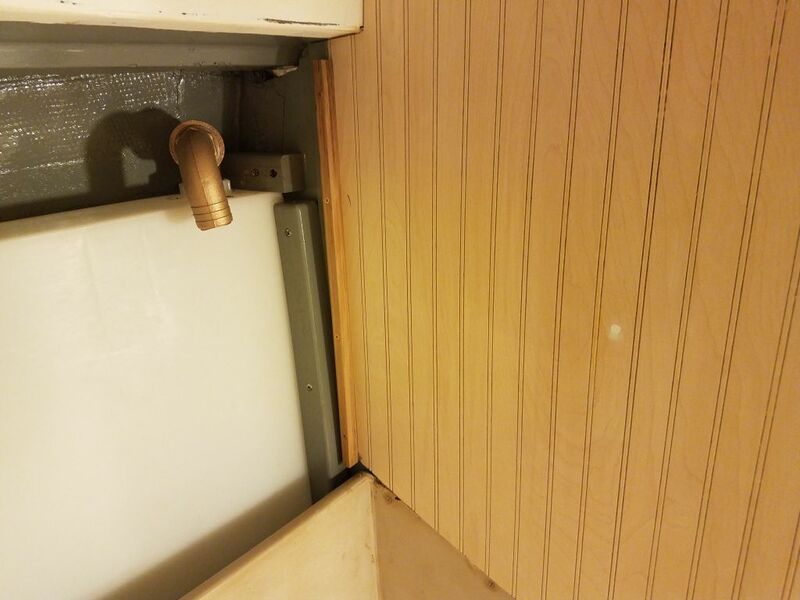 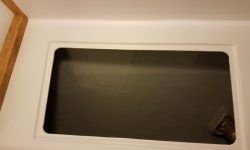 Earlier in the week, I’d pre-primed the new epoxy securing the cleats around the water tank, so now I could proceed with final preparations and painting inside both settee lockers, port and starboard. 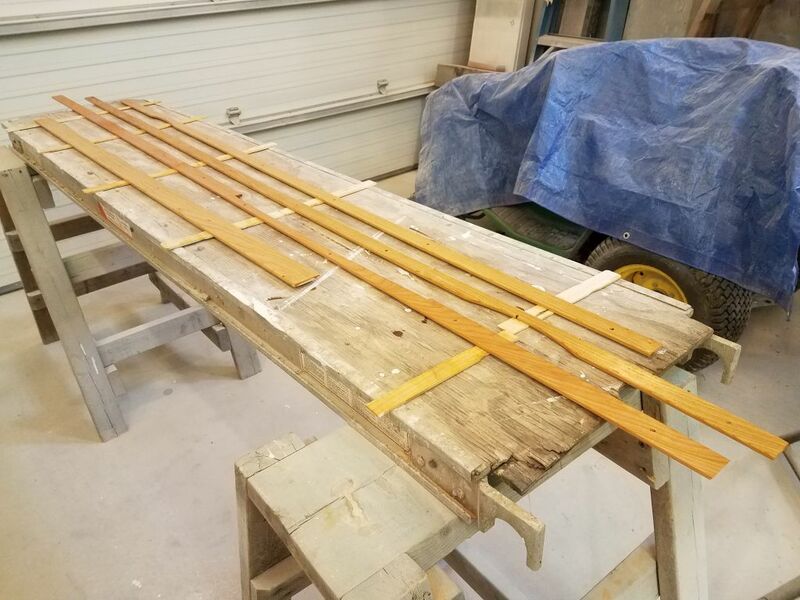 During the remains of the day, I sanded all the new overhead trim pieces as needed, removing layout and tool marks and slightly rounding the exposed edges. 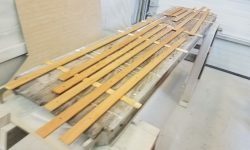 Thus prepared, I applied the first coat of varnish to all sides of all the pieces of trim.